Matthew Hanna studied clarinet with Dr. Robert Chesebro at Furman University and during that time was active in competitions. He entered the 1995 International Clarinet Association Young Artist Competition and won first place! He also placed first in the Southeastern Clarinet Workshop Competition and won the MTNA state and divisional Woodwind competitions and was a finalist in the National level of competition. In addition to being a member of CYS for 3 years, Matthew was featured as a soloist in 1996 performing a concerto by Carl Stamitz. 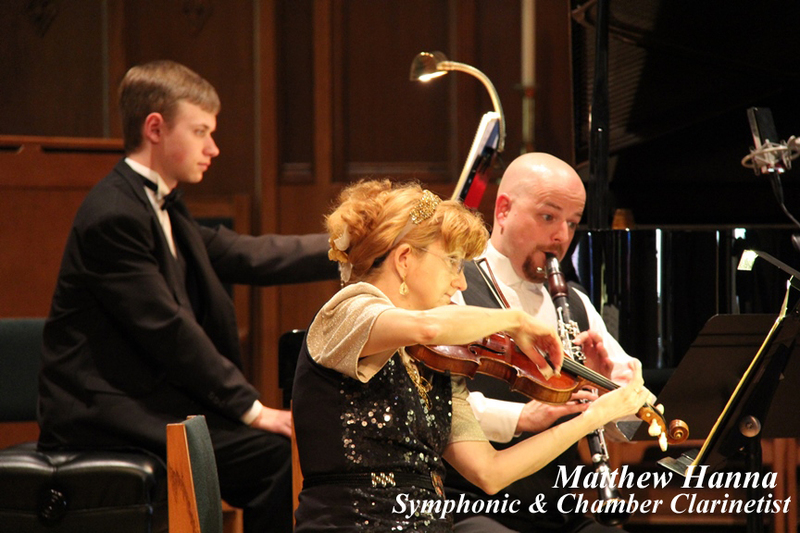 Matthew has was also a soloist with the Foothills Philharmonic in performances of Mozart’s Sinfonia Concertante and Weber’s Clarinet Concerto No. 1. 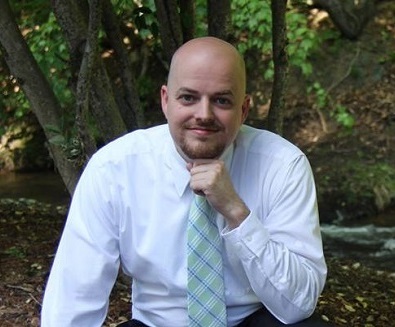 He is currently active in the upstate music scene, performing regularly with local orchestras including the Spartanburg Philharmonic, Foothills Philharmonic, and GAMAC Orchestra and is currently principal clarinet with the Brevard Philharmonic. He is a founding member of the Papageno Woodwind Quintet and performs as a singer and clarinetist on the front line of the Foothills Oompah Band. Matthew is the founder of Harmony Creek Studio and manages the sound recording, mastering and video editing services. Christopher Tavernier made his orchestral debut with the Tar River Philharmonic Orchestra at the age of thirteen, performing Tchaikovsky’s Piano Concerto No. 1 on the opening concert of the Orchestra’s Fall 2013 Season at the Dunn Center for the Performing Arts in Rocky Mount, North Carolina. Christopher began his piano studies at the age of six, and now at fifteen he has won several competitions, including the 2012 Appalachian Classical Music Association’s Young Artist’s Competition in Johnson City, Tennessee, and in 2014 the junior division of the Charlotte Symphony’s Concerto Competition, and the Concerto Competition of the Symphony Orchestra of Augusta Georgia. Additionally, he placed second in the “National Elizabeth Harper Vaughn” Concerto Competition in Kingsport, Tennessee. He was the youngest performer in the history of the competition, which admits contestants up to the age of twenty five. He performed Rachmaninoff’s Rhapsody on a Theme of Paganini. Christopher’s concerto repertoire includes concertos by Bach, Mozart, Mendelssohn, Tchaikovsky, Rachmaninoff and Prokofiev. He maintains a broad solo repertoire, including many works by his favorite composer, Franz Liszt. In addition, he has in his repertoire Liszt’s two operatic paraphrases for two pianos. Christopher’s pianistic lineage and training extends from Liszt through his teacher, John Cobb, who studied with Claudio Arrau, and whose teacher was a pupil of Franz Liszt. This is the third season in a row that Christopher and John Cobb played massive fundraising concerts to benefit Mission Foundation “Ladies Night Out”, a program that supports the early detection of breast cancer. Christopher is also a dedicated chamber music player. In 2014 he performed, on both piano and harpsichord, the Bach Triple Concerto, BWV 1044, with the Rutherford Chamber Consort a professional chamber music ensemble head-quartered in Western North Carolina. He also performed Schubert’s Trout Quintet and a Suite by Milhaud and this season Christopher will be performing Johannes Brahms Piano Quartet in G minor. Christopher has been featured on ABC affiliate television station WLOS, and has performed on Carolina Live NPR radio and WCQS, Asheville, NC. He is the first International Perzina Artist in the company’s 144 year history and has published recordings in DVD and CD formats, and is a member of the AAPF. 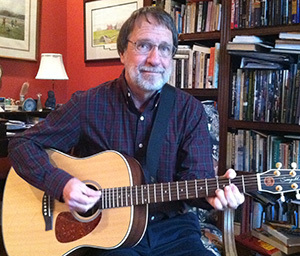 Dr. John Cobb is an international performer and recording artist known for his broad interpretive range and technical command. The New York Times has praised his "solid technique, bronze tone and flexibility of interpretive style." The Chicago Daily News commented, "the vibrations that filled the hall were less those of the piano than those of an exquisite musical mind." He has performed throughout the United States and Europe. In recent years he has performed the piano works of the American master Samuel Barber, including his Piano Concerto with the Asheville Symphony Orchestra. His solo repertoire also contains many of the works of Franz Liszt, of whom he is a direct musical descendant through his teacher, pianist Claudio Arrau, whose teacher was a pupil of Liszt. 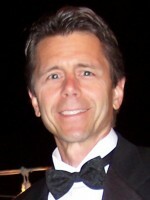 Dr. Cobb continues to play a broad repertoire of chamber music and has collaborated with artists such as Joel Smirnoff, former first violinist with the Juilliard String Quartet and Jason Posnock, Associate Music Director of the Brevard Institute and concertmaster of the Asheville Symphony Orchestra. 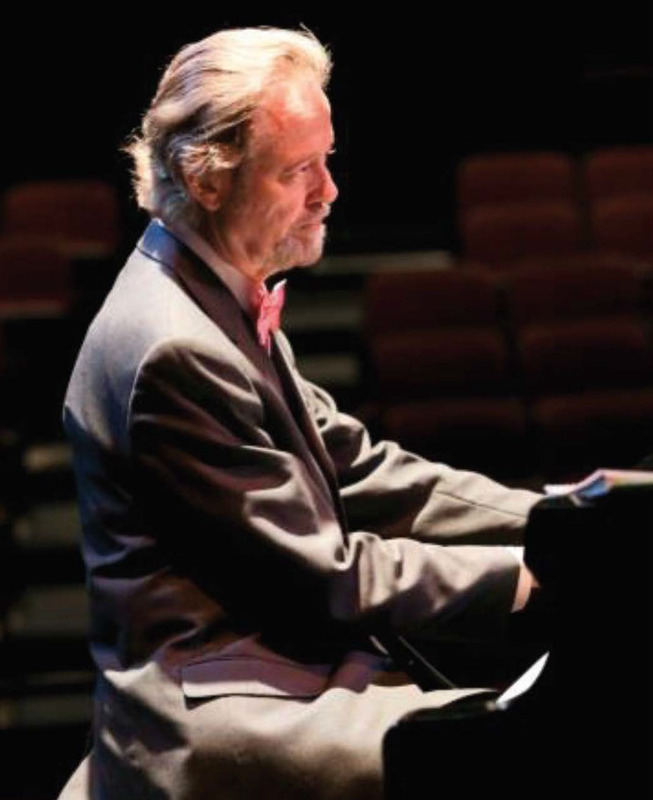 Dr. Cobb earned his Master of Music and Doctor of Music degrees in piano performance from Northwestern University, where he also participated in master classes with the duo-piano team Vronsky and Babin and also coached with Paul Badura-Skoda and Vladimir Ashkenazy. He completed most of a Ph.D. in musicology at the University of Chicago, while serving as official pianist with the Conemporary Chamber Players conducted by Ralph Shapey. Dr. Cobb has taught at the Chicago City College, the University of Chicago, the State University of New York and at Montreat College in North Carolina. He has presented workshops and seminars at various schools and music centers throughout the U.S., including Florida State University and California State University in Fresno. Dr. Cobb was artist-teacher at the Adamant Summer Music School for pianists in Vermont for 15 seasons. For 12 years he was a judge for the annual piano competition in New York City sponsored by the New York State Council for the Arts, where he also served as a grant panelist. Dr. Cobb has made a specialty of teaching Claudio Arrau's technique of relaxation and use of body leverage to correct poor pianistic habits. 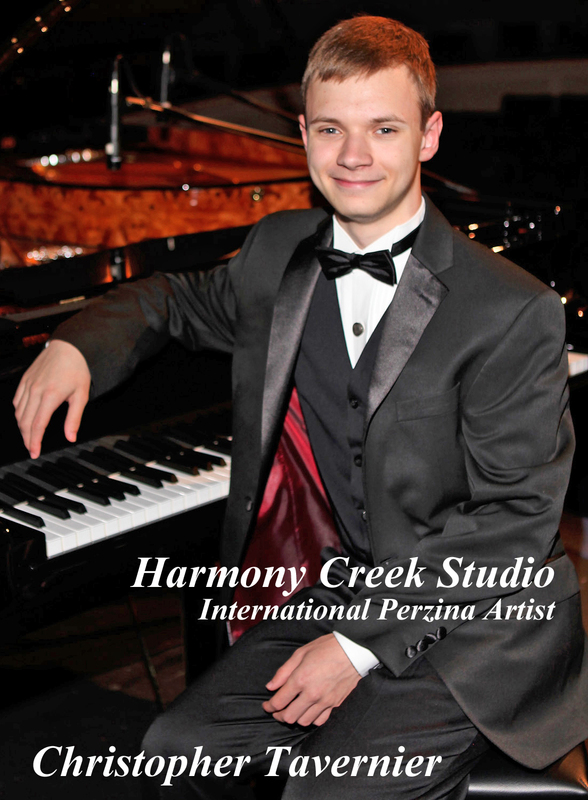 He maintains a teaching studio in Asheville and one in Hendersonville at Freeburg Pianos, as Artist in Residence. Sharon holds BM and MM degrees in violin performance from the Peabody Conservatory of Music at Johns Hopkins University. She has played professionally with a number of symphony orchestras in Virginia, Maryland, the Carolinas, and Rome, Italy. In addition to classical playing, Mrs. Lawrence is an experienced fiddler. 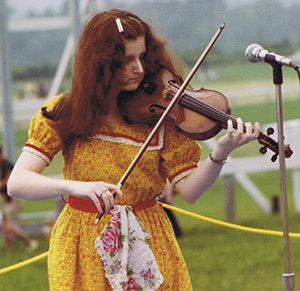 She has played Celtic fiddle, bluegrass, and old time for a number of years. She has studied and worked with many world-class fiddlers: Bobby Hicks, Richard Greene, Martin Hayes, James Kelly, Laura Risk and Alan Jabbour. Joy and enthusiasm of these various styles are evident in her teaching, and she encourages students to experience great adventures in music making. She is an accredited judge for the U.S. Scottish Fiddling Association and placed 2nd in the U.S. National Scottish Fiddling Competition. Also, she has judged fiddling competitions at Grandfather Mountain, NC, Stone Mountain, GA, Ligonier Highland Games, Pittsburg, PA, and the Alexandria Highland Games, VA.
Norman is a native of South Carolina. He holds a Bachelor of Music degree from Furman University and has done additional work at Furman, the University of South Carolina, and UNC-Greensboro. In 2007, he became a National Board Certified Teacher in early and middle childhood music. He has taught band or elementary music to grade K-12 in Georgia, the Carolinas, and the Virgin Islands. Performance credits include the Augusta GA Symphony, Greenville SC Symphony, and numerous assignments in opera and theatre orchestras in four states. He is active as a freelance percussionist and works with student percussionists at several high schools in western NC. Music has been Keith’s passion since he learned to play piano, guitar and string bass as a child. He pursued bass and graduated from the University of Minnesota as a string major with a Bachelor of Science Degree in Music Education. After teaching orchestra for several years, Keith studied piano technology at McPhail School of the Arts in Minneapolis and began a full-time career in piano tuning, repair and rebuilding. For the past thirty-one years, he has been serving pianists primarily in Western North Carolina and Upstate South Carolina. Keith is a Registered Piano Technician with the prestigious Piano Technician’s Guild for which he has served several terms, including the present one, as the local chapter president. He is certified to install computerized PianoDisc Systems as well as locally manufactured Dampp-Chaser Systems. Keith has experience in nearly every aspect of the piano world, from tuning, repair, reconditioning and rebuilding to sales, educational seminars and training. He is a member of the Asheville Area Piano Forum and performs with the Hendersonville Symphony Orchestra and the Brevard Philharmonic. He serves as an elder and musician at his church. He and Joann are blessed with two children, their spouses and three grandchildren. Our mission is to capture the brilliance and detail of your performance. Freeburg Pianos Freeburg Pianos recently formed the Music Foundation of North Carolina and has been a sponsor of many local events. Rutherford Chamber Consort The Rutherford Chamber Consort is made up of accomplished musicians living in or around Rutherford County, NC. Contact us for your next performance!